We can be on a honeymoon, travel with our partner for an anniversary or just get away for a few days with the person we are completely in love with. The scenario matters little when love reigns in our life … But much better if it is the ideal destination to go with who we love! 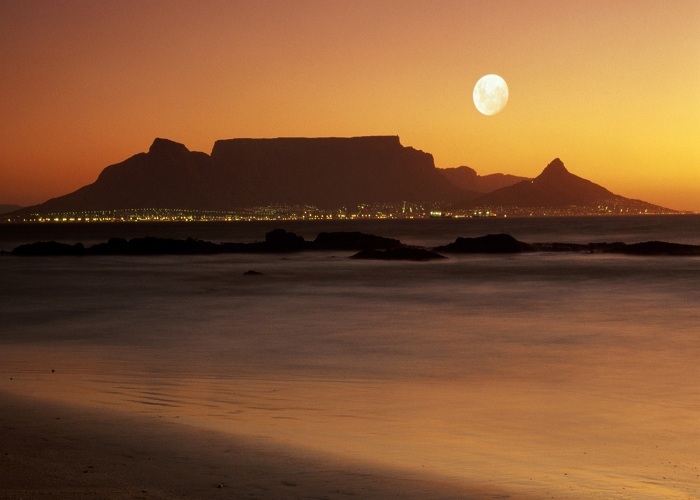 In this article, we tell you what the 8 most romantic sunsets in the world are. Now you can plan a trip with your other half. The icon mausoleum of this country contains a great love story. 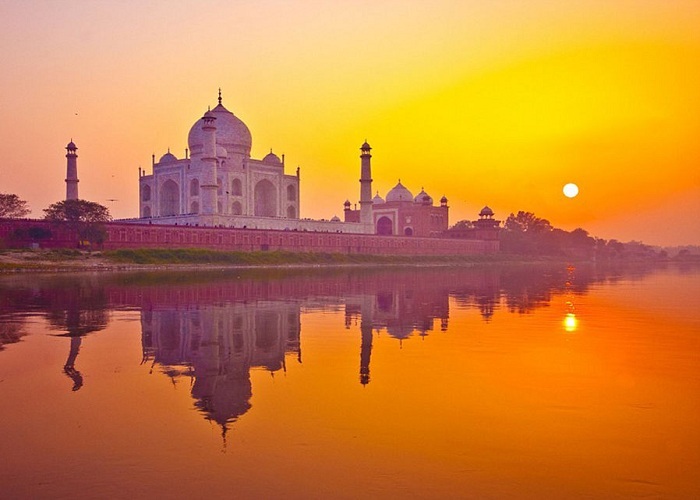 Beyond the tragedy that struck the couple and subsequently resulted in the husband to build this temple, the truth is that the Taj Mahal is a beautiful place to see the most romantic sunsets, as its silhouette cuts the horizon and gives us its colors and shapes. 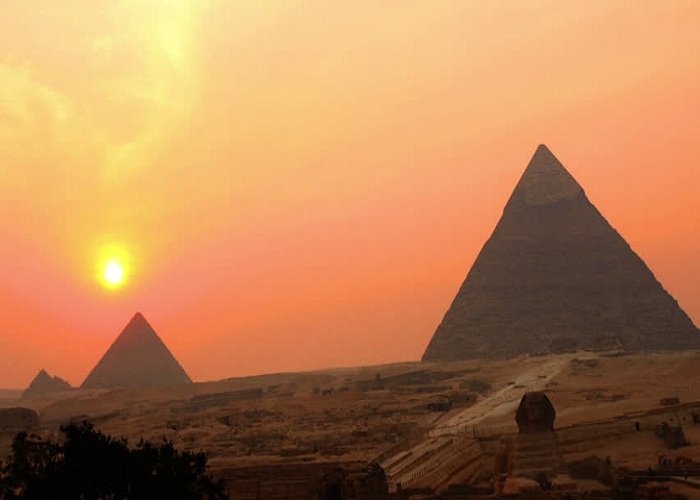 These monumental structures with thousands of years of antiquity in the middle of the desert are, without a doubt, a spectacle to see at any moment of the day. However, at sunset, they are full of mysticism and it is worth waiting for this magical moment. Although the gates of the estate close before the sun falls, we can stay at a distance enjoying the scenery. 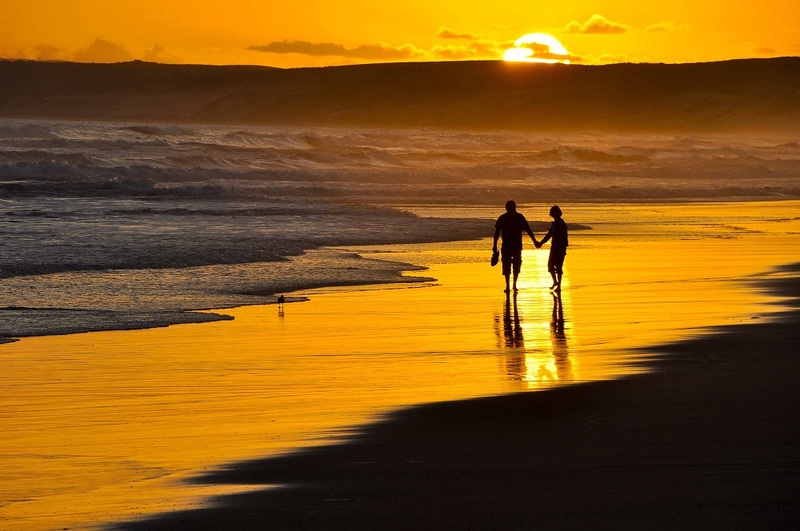 Although it is a very romantic and paradisiac place to see the most romantic sunsets you must take into account that if you go in a couple you cannot prove your love in public. The Muslim religion is a majority of these islands and is quite strict in this regard. 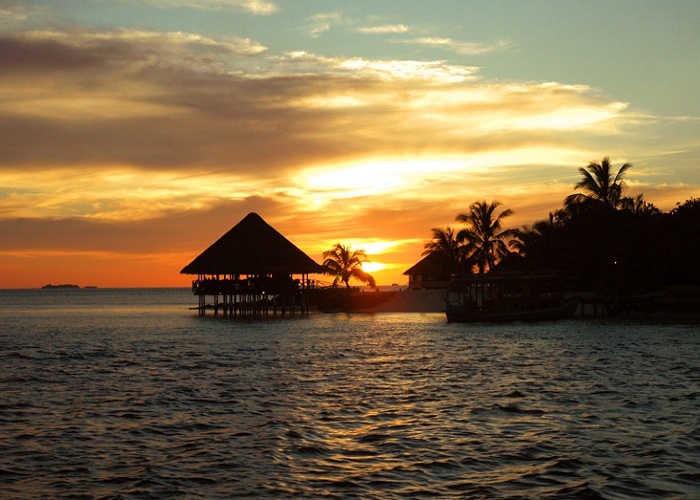 But do not worry, because the resorts offer cabins and rooms with large windows and terraces where you are allowed to kiss or hug … while watching the sun go down! More precisely from Piazza Michelangelo. A charming place, with a special aura and a romantic atmosphere to every corner. 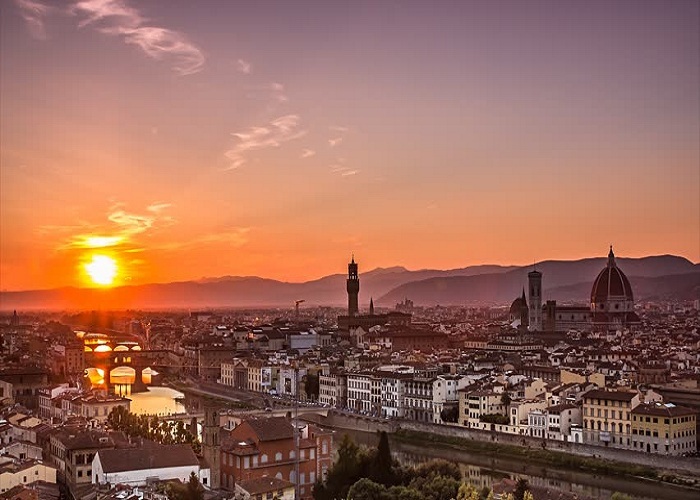 As in all Italian territory, in Florence love is in the air and is perfect to go on a honeymoon. It is a tradition for residents and travelers to look for a place on the steps of the square and be amazed by the most romantic sunsets and the reddish reflection of the sun on the domes and bridges. The best-known island, next to Mykonos, has a special atmosphere and is a wonderful destination for couples. 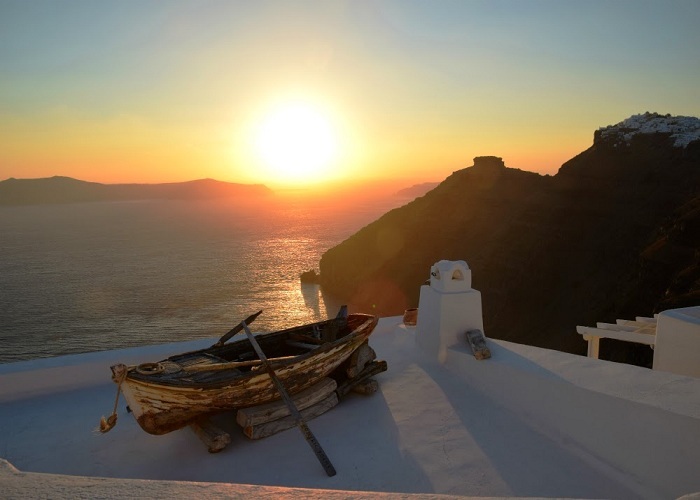 All who have visited Santorini say that the sunset facing the sea is an unforgettable experience. Sitting in the sea enjoying this show is a must-see during our stay. The blue roofs of the white houses are the ideal setting to watch as the day turns into night. Its reddish color blends perfectly with the sunset. 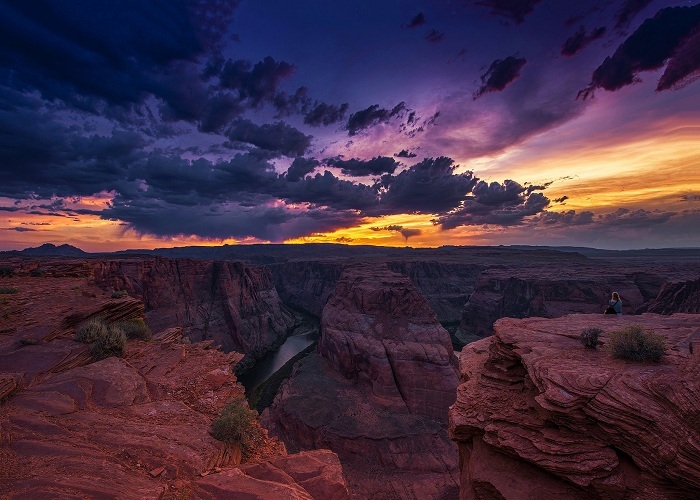 If you are adventurous and want a different honeymoon or vacation (and very romantic) do not hesitate to go to the Grand Canyon. Located 3 hours from Las Vegas, these rock formations of great meters of height invite us to fall in love and lose ourselves among its landscapes. One of the most popular beaches in Rio de Janeiro, which even has a song that names it (Garota de Ipanema). Sunset in the sea or in the sand drinking a caipirinha and “dancing” to the compass of the axé will be a perfect experience that you will want to repeat several times in your life. The sun accompanies the last second on the waves. And then, let the party begin! If you are looking for a wild ride, this is your destination. You and your partner can enjoy walks through very colorful virgin landscapes and admire the fall of the sun, at which time everything is dyed orange, gold, red and yellow. Nature in all its expression gives you this moment. You cannot refuse! What would be your best plan to watch the sunset with your partner? Do you prefer the beach, the desert, the jungle or the center of a city?